Howdy friends! I'm here today with a new Play on Patterns. I LOVE creating unique backgrounds by piecing different papers together. I put a little twist on it this month, incorporating photos as part of the design. Download the Silhouette cut file I created HERE. 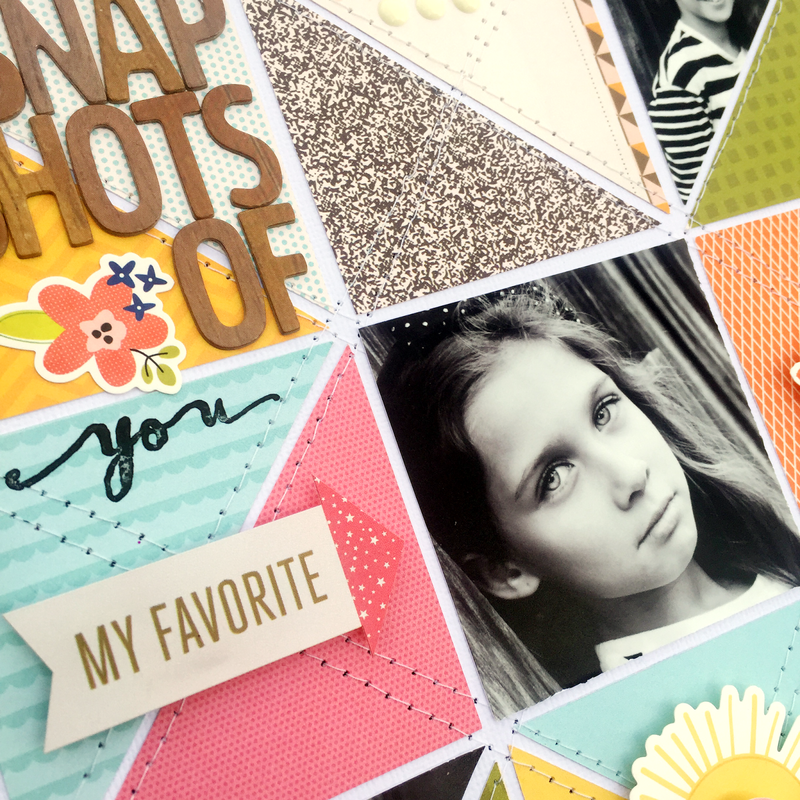 Place your favorite papers or Life Pages cards on your Silhouette and cut as many triangle squares you need. I used one sheet October Afternoon Saturday Mornings Journal Cards pattern paper from the Main Add-on. I simply cut 3 down and 4 across. Then I filled the rest of the spaces with photos. 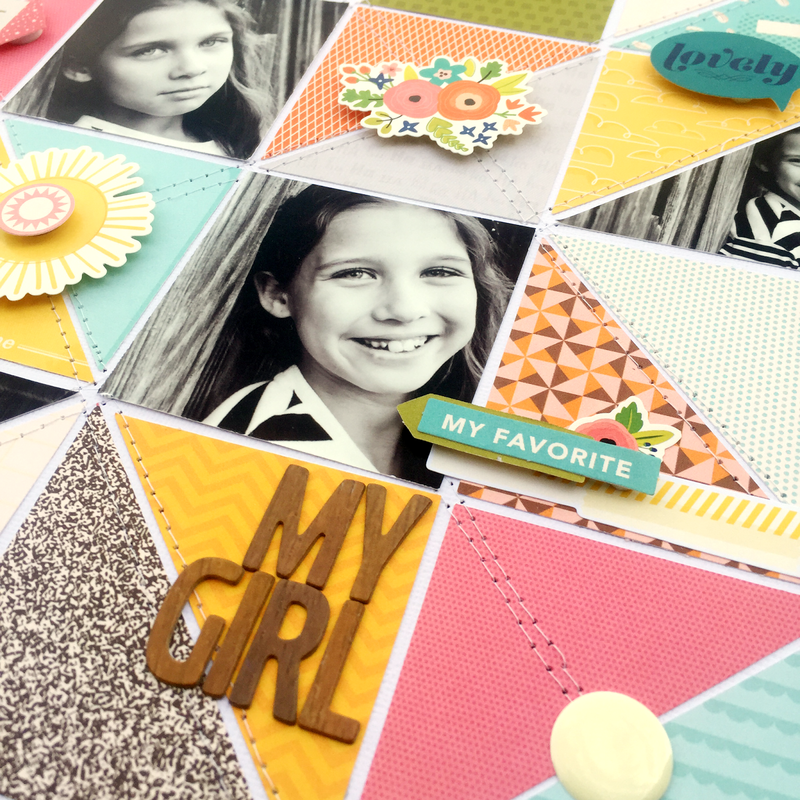 Grab a piece of cardstock and place your photos around the page where you want them. Do not adhere them to the cardstock yet. Mix and match the triangles in the spaces around your photos. Adhere those down lightly. 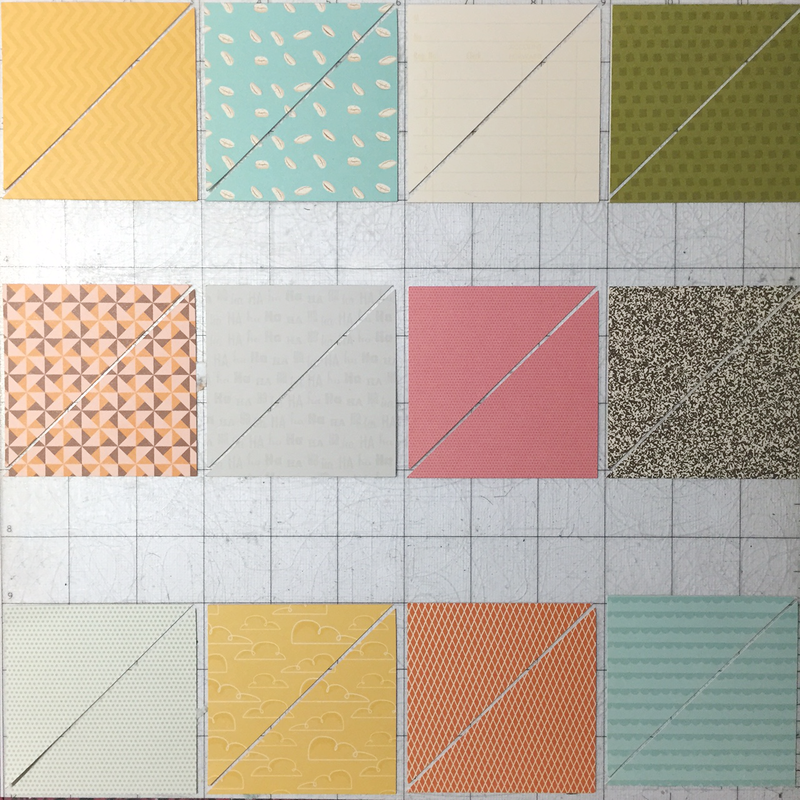 Remove your photos and stitch the triangles to the cardstock base. Add your photos back to the layout. Add your title, embellishments and journaling. I treated each triangle square as it's own element, embellishing each one differently. I hope this inspires you to try something different with your photos this month by incorporating them into the background as part of the design. Thanks for stopping by today! Before you go, I'd love to know what you'd like to see me tackle in future Pattern Play features. Just leave a comment to let me know. 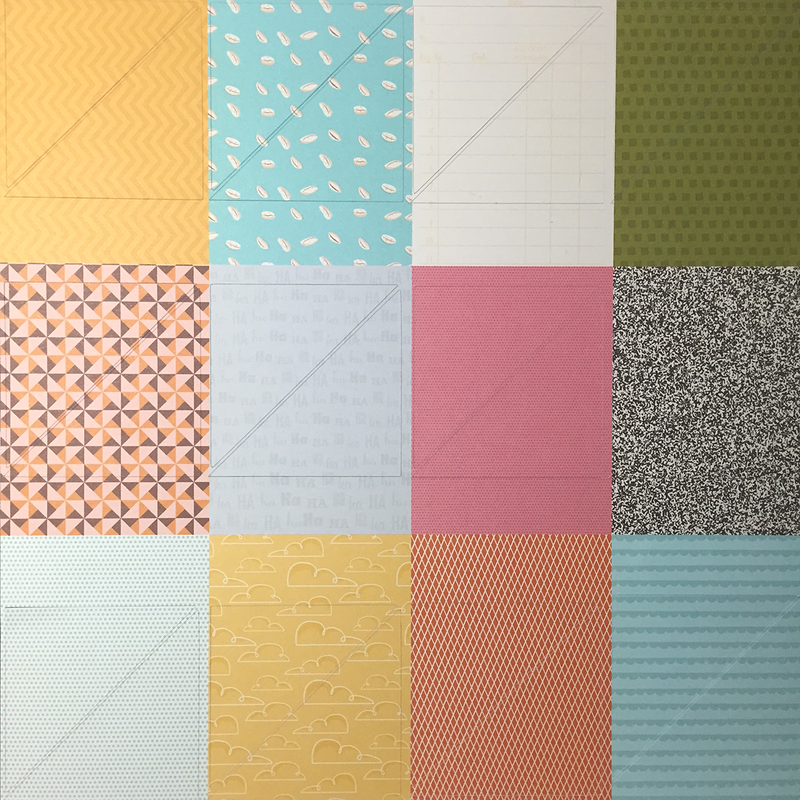 And come back Monday to see how I used the Journal Cards paper that I cut the triangle squares from to create another fun layout. 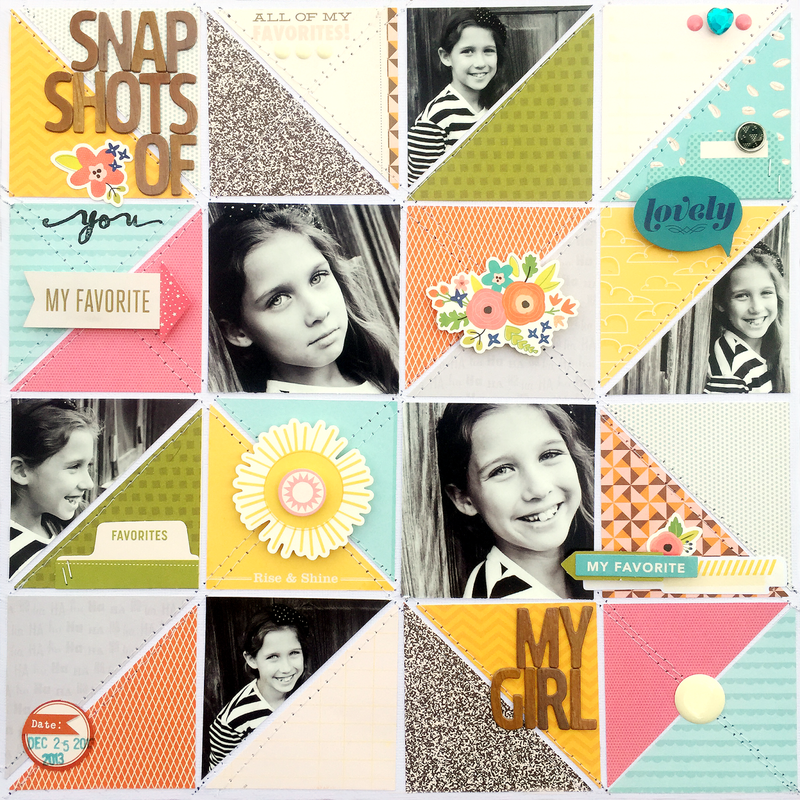 Awesome layout :o) Great tutorial! You have explained it so anyone could give it a try. YOU ARE GREAT HEATHER!!! Heather! I absolutely LOVE this! Gorgeous. Beautiful! I love your use of pattern paper!